I am happy once again to be hosting My Legume Love Affair, an event celebrating the ever popular legume that so shines in our meals. Thanks to dear Susan of The Well Seasoned Cook, who is the brainchild behind this event. She passed the baton to me and thanks to all of the other bloggers who keep the engine rolling with their creativity and support. 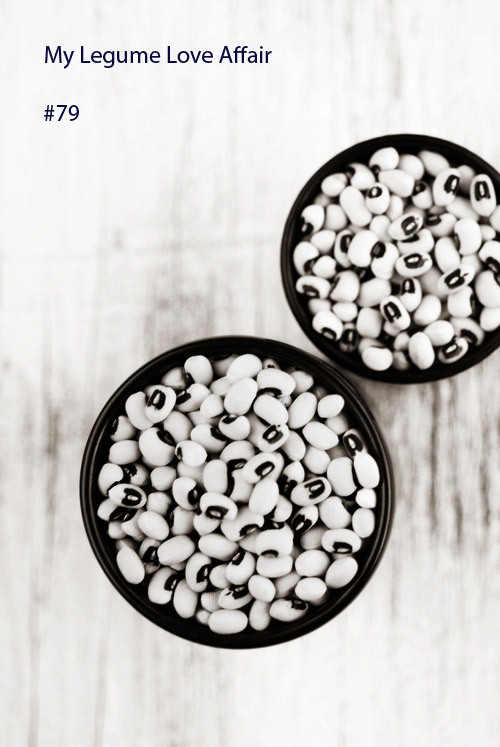 Here we are into 2015 — legumes are never boring and provide happiness and essential protein in our diets. Prepare a vegetarian dish centered on legumes. Link back to this announcement, my blog and also Susan's blog, as she was the original founder of the event. Share your creation using the linky tool at the end of this post by the end of the month. Use of the lovely logo, designed by Susan, is optional, but appreciated. Because I own and maintain a vegetarian cooking site, only entries that are free of meat, fowl and seafood will be accepted. Please only one submission per month, per blogger. Recipes from your archives will be accepted if reposted and updated. You may submit your recipe to other events, but please check to see if those hosts have restrictions. For your dish to be included in the roundup, it must contain more than just a few tablespoons of legumes. The slight exception to this are legumes such as fenugreek or tamarind that typically are used in smaller quantities. Fresh or dried beans, lentils, pulses, and the sometimes edible pods that contain these seeds, and derivative products such as tofu or besan, along with fenugreek, carob, and peanuts are all acceptable. The possibilities are endless. Please just ensure that your shining ingredient is in fact a member of the legume family. All types of cuisines and courses are welcome, so long as the mighty legume is the key ingredient. Thanks for your inspiration and participation. I am looking for hosts for 2015. Send me an email at legume.lisa AT gmail DOT com or leave a comment on this post if you would like to host.